The Government has announced fundamental changes to its off-payroll working rules known as IR35 in order to tackle what it claims is widespread non-compliance. Ministers believe that only 10 per cent of people working through a Personal Service Company (PSC) adhere to the rules, something which costs the Treasury hundreds of millions of pounds each year in Income Tax and National Insurance contributions (NICs). Following the success of reforms of how contractors are engaged by the public sector, HMRC has now decided to extend those changes to private businesses too. Such a move is likely to have important consequences for private sector firms in a wide range of industries, possibly resulting in greater administration and larger tax bills. Are you aware of how IR35 & Off Payroll Working could impact on your company? Under the terms of the announcement made by the Chancellor’s during his Budget, changes to the off-payroll working rules will take effect in April 2020. As was the case when the same rules were imposed on the public sector, agreements which have been drawn up between companies and contractors may well no longer be adequate. More than merely adopting more robust contracts of engagement, private sector companies will need to ensure that they understand the complex IR35 rules sufficiently in order to make a correct determination of a contractor’s status. It will also be necessary to put in place contingency support or advice in case HMRC decides to pursue an investigation into whether such decisions are accurate – a process which can take a number of years to conclude. 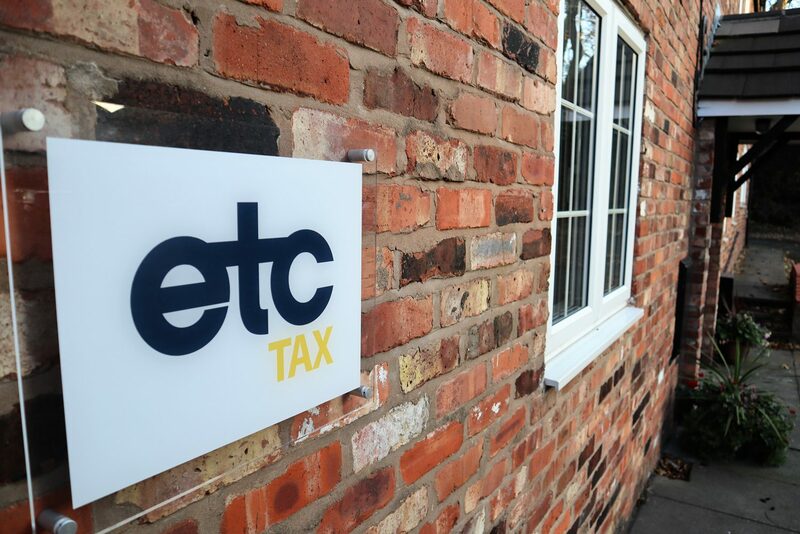 As specialist tax advisers, Enterprise Tax Consultants has experience in dealing with a broad range of HMRC tax investigations and enquiries affecting both individuals and private sector businesses, including a number of IR35 cases. We can help ensure that your company’s use of contractors is IR35 compliant and reduce the potential stress on your loved ones and your business. In his 1999 pre-Budget speech, the then Chancellor of the Exchequer, Gordon Brown, promised to introduce legislation to address what was regarded as the problem of using intermediaries, such as partnerships and limited companies, to avoid Income Tax and National Insurance Contributions (NICs). The measures came into force in April the following year, under Chapter 8 of the Finance Act. Although referred to as the off-payroll working rules, they have become better known under the number of the Inland Revenue press release which announced their existence: IR35. The rules mean that men and women working through a Personal Service Company (PSC) should pay broadly the same Income Tax and National Insurance Contributions (NICs) as if they had been directly engaged as employees of the firm for which they provide a service. Instead of paying as much as 45 per cent in Income Tax, contractors using a Personal Service Company (PSC) pay Corporation Tax at a rate of 20 per cent. Firms using contractors also avoid paying employers’ National Insurance Contributions (NICs). However, HMRC believes that many contractors have not been applying the complex rules correctly, a situation which has resulted in the Treasury missing out on large amounts of tax – £700 million during 2017-18, a figure which it estimates will rise to £1.2 billion by 2023, if not urgently addressed. The employment landscape has changed dramatically in almost two decades since the off-payroll working rules were first introduced. Official figures indicate that more individuals now choose to work through limited companies – up from 250,000 in 2000 to more than one million in 2015. Together with HMRC concerns over IR35 non-compliance, the increased use of contractors by both the public and private sectors has prompted lengthy review of how the off-payroll working rules operate. The Revenue’s desire to crack down on those who don’t abide by the rules has been reinforced by research, including a paper published by the House of Lords in 2014, which found that companies were often given incorrect advice that their work fell outside of IR35. In addition, HMRC feels that the delay between engagement and tax becoming due has made it difficult to determine how much is owed and, therefore, helped fuel what it describes as “endemic non-compliance” and a sense of complacency on the part of contractors and the firms with which they work about whether they may still be liable for investigation. Changes to the off-payroll rules for the public sector were introduced in April 2017, making it the responsibility of fee-paying public authorities not the Personal Service Companies (PSCs) to determine whether contractors’ IR35 status. If the off-payroll working rules are found to apply, it’s up to the contracting authorities to deduct the relevant Income Tax and National Insurance Contributions (NICs) and pay them to HMRC together with their own employer NICs. The Government regards the changes as a success, having delivered an extra £500 million in taxes since they came into force. Partially as a result of the success of its public sector off-payroll reforms, HMRC decided to turn its attention to the private sector. As well as the prospect of increasing its tax income, the Revenue is understandably anxious to overcome its own difficulty in enforcing the IR35 rules. Over the course of the last decade, it has only won one notable case – that of the former BBC presenter Christa Ackroyd – out of the 10 which it has brought against contractors. Furthermore, HMRC has faced criticism over whether an online service designed to help contractors determine their off-payroll status – the Check for Employment Status for Tax (CEST) tool – is accurate. Yet, in May 2018, the Treasury pressed ahead with a three-month consultation on how best to tackle IR35 non-compliance. Although it said at the time that no decision had been made about the intended approach, the nature of the Revenue’s proposals reinforced the likelihood of the Government simply extending the public sector reforms to private sector companies. Nevertheless, HMRC was firm in its conviction that it needed to find an effective means of addressing “the high and growing levels of non-compliance with the off-payroll working rules in the private sector”. The Chancellor of the Exchequer has now decided that private sector practice should now mirror what happens in the public sector and the Treasury’s projections make clear that the impact will most likely be considerable. A Briefing paper issued at the same time as Philip Hammond’s Budget speech suggested that although the measure will be restricted to “large and medium businesses” and only scheduled for introduction in April 2020, the same processes were expected to generate £3 billion in extra taxes for the Treasury between that date and April 2024. As well as deciding a contractor’s working status, the company hiring him or her must pay over all taxes if they fall within IR35 by treating their earnings as salary. That includes employers’ National Insurance Contributions (NICs) on top of the contractor’s own taxes. Perhaps more importantly, if contractors are wrongly considered outside the scope of IR35, the business using their services is liable for the tax, not the contractor.